For the past month its been pretty quiet in my blog since I have been a little bit busy with the best thing that has happened in my life, my first baby Sofia was borne and today we are celebrating her first month. Days have been incredibly full of love, fun and joy (but certainly not of sleep). Now nights are much better, sleeping for a few hours now and back at work with lots of enthusiasm for the upcoming work in IIS and the incredibly exiting times at the team. So now by blog should show a bit more activity moving forward. 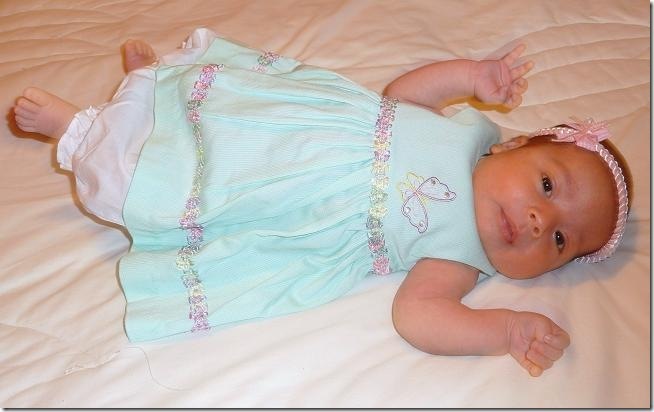 Here is a picture of my first baby, named Sofia celebrating her first month of life. Congrats. A new coder is born.